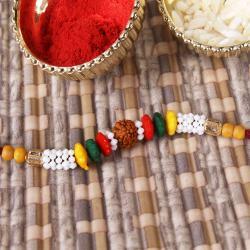 Exclusive Multi Stone Rakhi, Packet of Roli chawal. 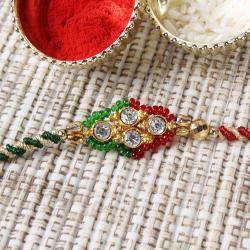 On occasion of Raksha Bandhan all brothers demands lots of sweetness, love, affection and warmth from sisters. Rakhi is accompanied by a magic of love. Roli Chawal for keeping your age old traditions alive and conveying your wish to your brothers prosperity on this day. 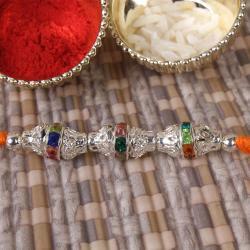 This beautiful Rakhi Design with attractive Multi colored stone work on tread, which looks very Exclusive and Royal. 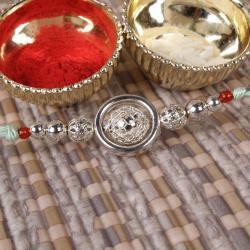 This Rakhi will definitely wonderful way to express your love and affection for your darling brother on auspicious festival of Raksha Bandhan. 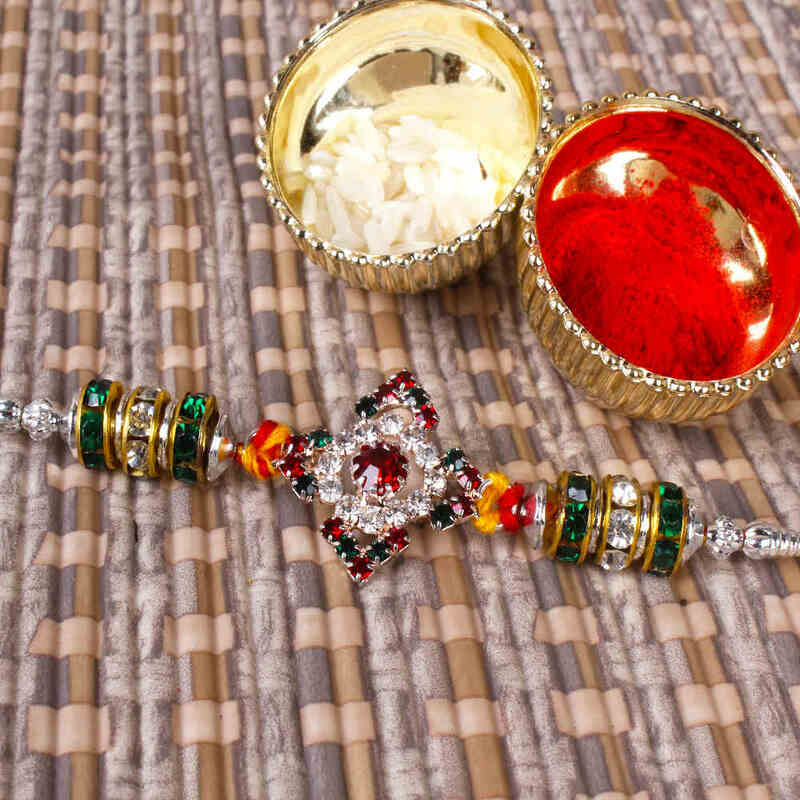 Product Includes: Exclusive Multi Stone Rakhi along with Packet of Roli chawal.